Straightline Reciprocal Action. 2-Cylinder, oversized common piston, powers twin-drive vertically-engaged gears with synchronized strokes so smooth that the 2000 VA/DF gets lighter with use. 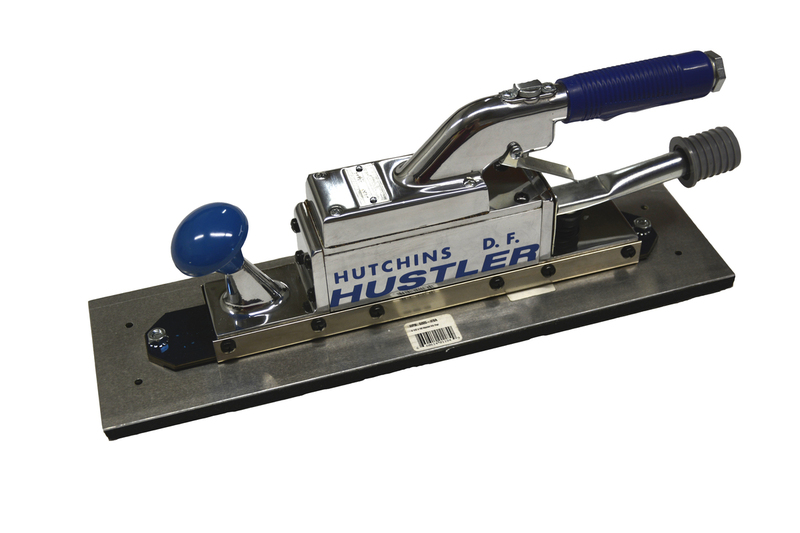 Precision-built, the HUSTLER does almost anything but finish and paint the surface. Rugged, but almost delicate in performance. Now equipped with a vacuum swivel port to make the sander more comfortable and reduce vacuum hose kinking. If you choose to use the sander with a bag, you need to purchase either connector Part No. 5301-2 or connector Part No. 5301-1 and bag assembly 1350-4 depending on your model. These models can be used either with a vacuum system or as a Self-Gen (with a collection bag). Pad size 4 1/2" x 16".